Coyotes are here to stay, but some coastal residents want more of an effort to manage the predators because of concerns about public safety and quality of life. Studies have shown that shooting and trapping don't work as a long-term solution. "There is no good way to get rid of coyotes. People are dealing with it everywhere," said John Kilgo, a research wildlife biologist with the U.S. Forest Service. A state survey of South Carolina deer hunters determined they killed an estimated 28,513 coyotes in 2016, but that hasn't put a dent in the problem. Wildlife officials have recommended that people use hazing techniques to make coyotes uneasy. That means shouting at them, banging pots and pans, throwing stones, spraying water and doing other things to startle them. Getting rid of stuff that attracts coyotes, such as pet food in yards and unsecured trash, is also encouraged. "Unfortunately, that's probably what it comes down to," Kilgo said. Some question that approach — simply co-existing with coyotes — because they worry about the number and proximity of the predators. "I don't know how to co-exist with something that's a nuisance and a danger. I've seen coyotes everywhere. It's gotten out of hand," said Sullivan's Island resident Margaret Burns. She lives in a beachfront home near the maritime forest. In late January, Burns reported to Sullivan's police that three coyotes attacked her Jack Russell terrier shortly after midnight when the dog went outside to relieve itself. The terrier suffered two neck puncture wounds but survived. The town didn't do any coyote trapping at that location after the incident, said Andy Benke, Sullivan's administrator. "The cameras in that area have not picked up any coyotes recently," he said. Burns said that her quality of life is diminished because of her concern about coyotes. She described honking her car horn when she arrives at her house to scare off any coyotes that might be nearby and then dashing up the steps, keys in hand, to get inside quickly. "It's a risk every day. We are living in fear," she said. A public discussion of the coyote problem happened recently at the Isle of Palms recreation center. Jay Butfiloski of the state Department of Natural Resources spoke with residents about their options including coyote control and learning to live with the predators. Coyotes were illegally brought into the Upstate about 40 years ago for hound running. Since then, the predators have flourished, but no one knows for sure how many coyotes roam South Carolina. Coyotes colonized the coast 10 to 15 years ago, officials said. "There is no estimate of the statewide (coyote) population, nor is there any reason to worry too much about it as we know we will always have coyotes and we will always have some segment of the public that will have problems with coyotes," Butfiloski said. The number of deer in South Carolina has dropped more than 30 percent since 2002 because coyotes prey on fawns. "While our deer population is still healthy, we do not want to see it decline further," DNR reported. Kilgo co-authored two 2017 studies that looked at the success of coyote trapping at the Savannah River Site near Aiken. Some 470 coyotes were captured in three areas from 2010 to 2012. Short term, there was a 75 percent reduction in coyotes, but their numbers rapidly bounced back to pre-trapping levels in large part because coyotes from other areas moved into the newly vacant territory. The researchers concluded that coyote trapping at SRS did little to help the dwindling deer population. IOP has tried trapping without much success. Box traps snared one coyote in two years. A new approach using soft leg traps recently caught another coyote. The city has a campaign urging residents to report coyote sightings to police. 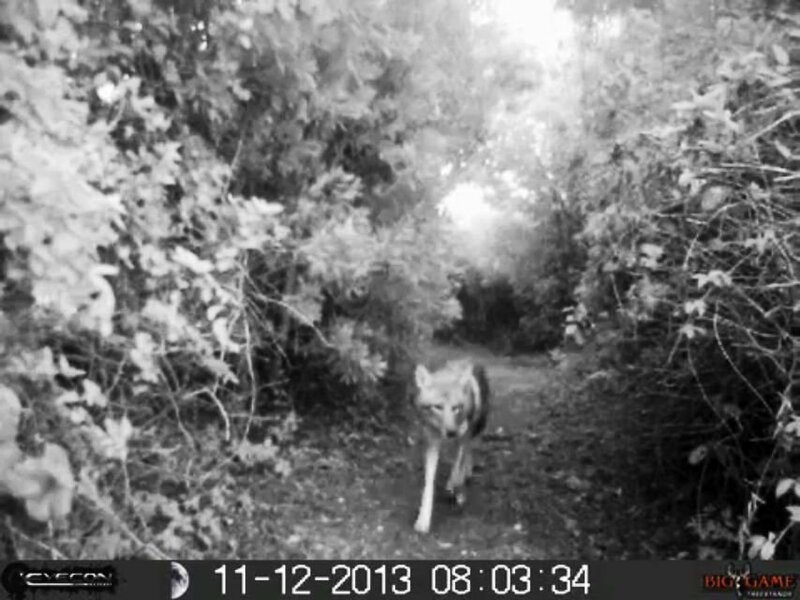 On Sullivan's Island, it has been about three years since the town trapped a coyote. The island has a coyote management plan that aims to strike a balance between human safety and the benefits of maintaining natural wildlife populations. Coyote tracking and monitoring, public education and, if necessary, use of deadly force against an aggressive coyote are part of the plan. People on both islands have complained that coyotes are the reason for missing cats. There have been at least three Charleston-area reports of coyotes biting dogs, including two on the islands. Those incidents and frequent coyote sightings, mostly from dusk to dawn, have spawned web pages devoted to the issue. "Isle of Palms Coyote Control Coalition" on Facebook has 240 members. "We know there are more and more coyotes out there," said IOP Mayor Jimmy Carroll. Residents at the coyote forum will be encouraged to hire trappers, he said. The predators have been reported roaming in the North Area at Joint Base Charleston. This past June, six coyotes were captured on base, including four on the golf course. Trapping efforts resumed in November after a coyote attacked and injured a Golden Retriever dog near Air Base family housing. "There have not been any new reported coyote sightings or attack incidents," said base spokesman Marvin Krause. Coyotes have been reported in every county in the state. Recently, a Greenville resident said that a repairman saw a coyote grab a cat and run into the woods. The predators have been spotted just blocks from downtown Columbia. In Myrtle Beach, some residents have reported coyotes in their neighborhoods, as well as coyotes killing pets. Coyote attacks on people are very rare, according to the Humane Society of the United States, and people can take steps to reduce the chance of that happening. There have been only two recorded human deaths blamed on coyotes. One involved a child in Southern California in the 1980s and the other a 19-year old woman in Nova Scotia in 2009, the humane society reported. "These events, rare as they are, are serious and warrant serious response," according to the Humane Society website. "A coyote who has bitten a person will have to be specifically targeted and removed from the population." But there is no reason for widespread eradication of coyotes, the society says. "In many human attack incidents, it turns out that the offending coyote was being fed by people. In many other instances, people were bitten while trying to rescue their free-roaming pet from a coyote attack." Keeping pets on a short leash and keeping them indoors at night is recommended, the society said. The annual estimated deer hunter coyote kill comes to a little more than one per square mile. No one has estimated the total coyote population in South Carolina, but Kilgo begins a three-year study in the fall to do just that. He estimated there are four to five coyotes per square mile at the Savannah River Site. Some parts of the state will be lower, some higher. Removing one coyote per square mile where there are four per square mile isn't managing the problem. Some research from out West indicates 70-75 percent of a population must be removed annually in order to reduce it, he said. "They're smart," Kilgo said. "It's going to require an ongoing effort."